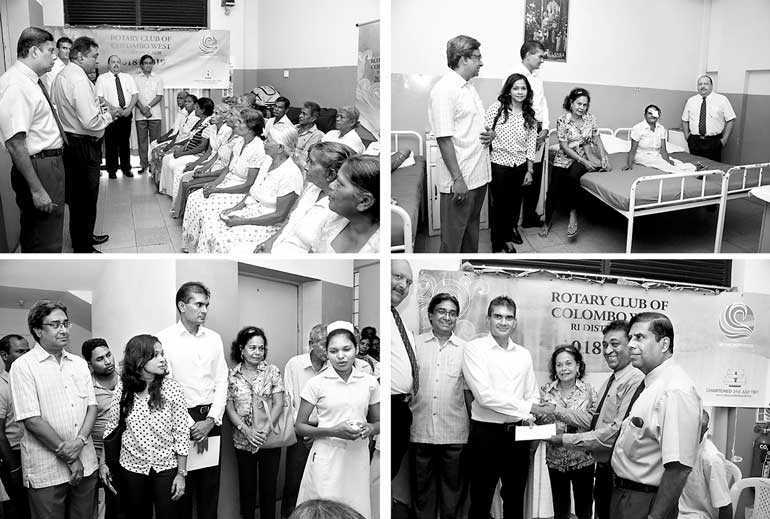 For the eighth consecutive year, The Rotary Club of Colombo West (RCCW) sponsored 50 cataract operations of the impoverished and elderly at a cost of Rs. 500,000 to be performed at the Eye Clinic of Help Age Hospital at 14 Sinsaba Road, Wellawatta. The Club is committed to prevent blindness due to cataracts in our country, and through its Cataract Project delivers immediate life-changing eye care to the elderly by making a difference in their lives that would otherwise go without care. Rotary which commenced in 1905, is a world-wide organisation whose membership now exceeds 1.25 million in over 200 countries with the motto of ‘Service above-Self’ and in Sri Lanka itself has more than 1,400 Rotarians in 70 Rotary Clubs. The Rotary Club of Colombo West, one of the largest clubs in Sri Lanka, with 90 members is actively involved in community service projects across the country.